Jon Hamm is a charming American actor with dark hair, captivating green eyes, and a deep voice. He is of German, English and Irish ancestry. Most viewers know him for playing Don Draper in the series Mad Men. Jonathan Daniel Hamm was born in St. Louis, Missouri, on March 10, 1971. Childhood of the boy, born under the Pisces sign, was not perfect. Parents, Deborah and Daniel, owned a small family trucking company. When their only son was two years old, the Hamms decided that they could not live together anymore. Jon stayed with his mother after the divorce. Eight years later, Deborah Hamm was diagnosed with the final stage of cancer. Ten-year-old Jon lost his mother and moved to his father. It was not the end of his misfortune. Daniel Hamm was seriously ill and died when his son was 20 years old. After the father’s death, John struggled with severe depression for several years. 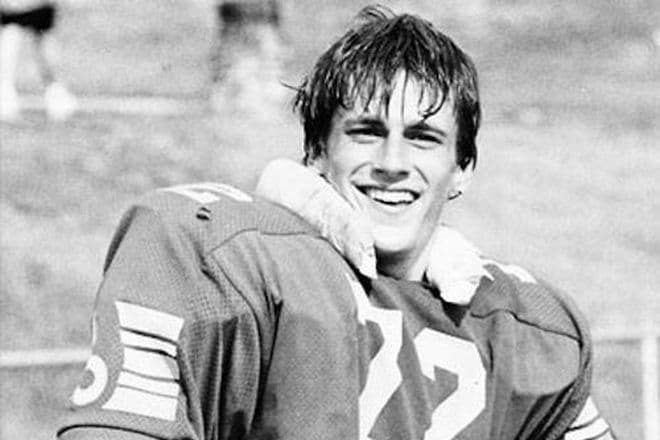 While studying at John Burroughs School, a private school in Ladue, Jon Hamm played football and baseball, was a member of the swimming team. The boy was fascinated not only with sports but also with theatre. His first acting role was as Winnie the Pooh for first grade. At 16, he was cast as Judas for the play Godspell. Although Jon enjoyed the experience, he did not take acting seriously. "Acting was fun, but my grandfather would always tell me, 'It's never too late to be an engineer. ", he later said in an interview. He entered the University of Texas in 1989, after graduation from school. However, Hamm was forced to leave the University because of his father's death. At that time, the guy was a second-year student. He returned home and went to study at the University of Missouri. During the studying, he played in the film adaptation of Shakespeare's A Midsummer Night's Dream and portrayed Leon Czolgosz in the musical Assassins. In 1992, Hamm went to Hollywood but not to conquer the famous hills. The guy just wanted to see his friend, actor Paul Rudd. They have been friends for many years. Three years later, Jon decided to relocate to Los Angeles permanently and try his luck in the Dream Factory. He came to Hollywood with $ 150 in his wallet, got a job as a waiter, and devoted all his free time to various auditions. At first, no one gave roles to the unknown young man, though he worked with the William Morris Agency. In 1998, the agency terminated the contract with Jon as they considered him unpromising. 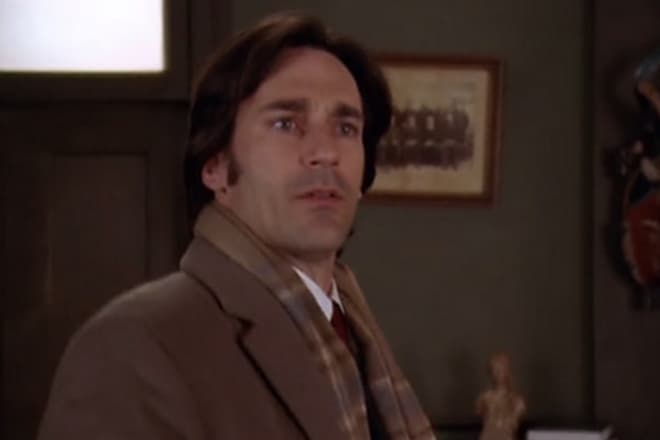 However, it was 1998, when Hamm began his acting career. He was offered bit parts, for example, in the television series Charmed. 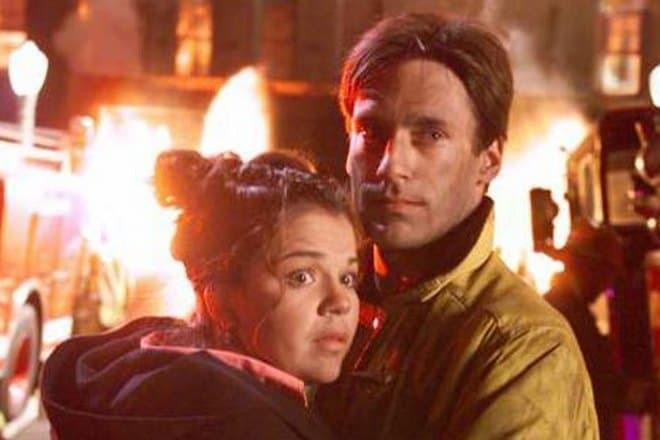 In 2000, Hamm received the role of romantic firefighter Burt Ridley in the series Providence. The audience liked this hero so much that his one-episode contract grew to the whole season. Jon signed a contract and could quit waiting tables. Hamm made his movie debut in the adventure thriller Space Cowboys in 2000, along with Clint Eastwood. Then he played a bit part in the films Kissing Jessica Stein, We Were Soldiers. 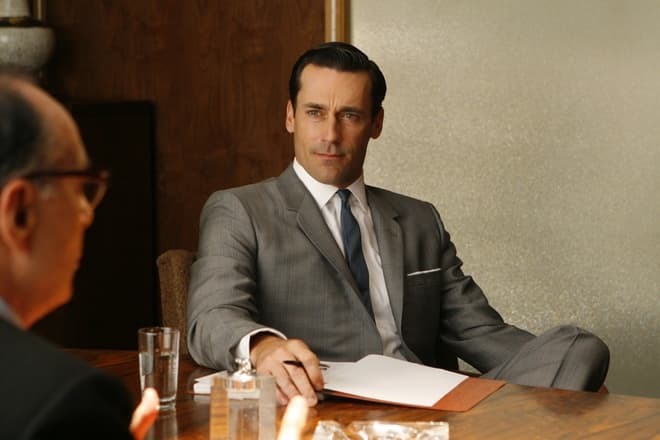 In 2007, Hamm outperformed almost one hundred talented performers who auditioned for the protagonist character of the new retro series Mad Men. He played the main hero of the series, Don Draper, a creative director of an advertising agency in New York. Mad Men tells about the 1960s. The series gave viewers the opportunity to admire the luxurious clothes of those years and to watch historical events such as Kennedy's assassination. Seven seasons of the series were released until May 2015. While broadcasting, Mad Men won four Golden Globes, five Emmy Awards and received many nominations for the prestigious movie and television awards. Hamm was nominated for the Primetime Emmy Award for Outstanding Lead Actor in a Drama Series seven times. In 2015, he finally won this Award. While filming in Mad Men, the actor played NASA investigator in 2008 in the movie The Day the Earth Stood Still, a remake of the 1951 film. 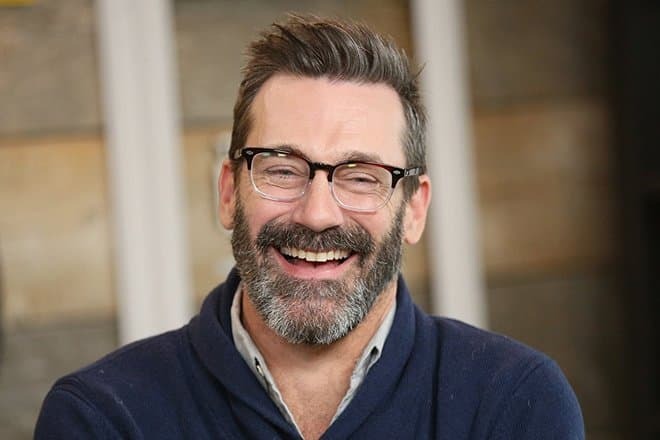 Jon Hamm played in the films Howl, The Town, Friends with Kids, Sucker Punch, provided his voice for the animated series The Simpsons and the animated film Minions, voiced an ogre leader named Brogan in the cartoon Shrek Forever After. In 2016, Hamm played the husband of Gal Gadot in the film Keeping Up with the Joneses and voiced the character of the popular animated series SpongeBob. Then the actor starred in the movie Baby Driver, Marjorie Prime, Travel Man. Jon Hamm lived in a common-law marriage with actress Jennifer Westfeldt for 18 years. In 2015, the couple broke up. Jon and Jennifer did not have children, except for their joint work - the comedy Friends with Kids. Jon’s partner wrote the script and was a director of the movie, and he played a role in the film. In 2017, there was information that Hamm had a romantic relationship with Dakota Johnson, the star of the film Fifty Shades of Grey. But it soon transpired that Dakota had a love affair with another man. Jon Hamm’s weight is 92 kg, and according to official information, his height is 188 cm. Nevertheless, attentive fans believe that the actor’s height is about 183-184 cm. They compared Jon, Ben Affleck (186 cm) and Jeremy Renner (173 cm). Although Hamm is taller than Renner, it is obvious that he is a few centimeters shorter than Affleck. However, these centimeters do not prevent girls from falling in love with the handsome green-eyed man. When Jon was 24 years old, he gave up smoking. The property men made special herbal nicotine-free cigarettes for the actor to play Don Draper, who smoked. In 2008, Jon Hamm was named one of People Magazine's Sexiest Men Alive. Jon is a golfer, tennis player, and a big fan of hockey and baseball teams from St. Louis. He even taught acting at John Burroughs School. A middle-aged actor is skeptical about social networks. He said in an interview that in the twenty-first century the novice actors’ chance to get a role depends on the number of subscribers on Instagram. "If it matters so much now, what will happen next? ", Hamm says. 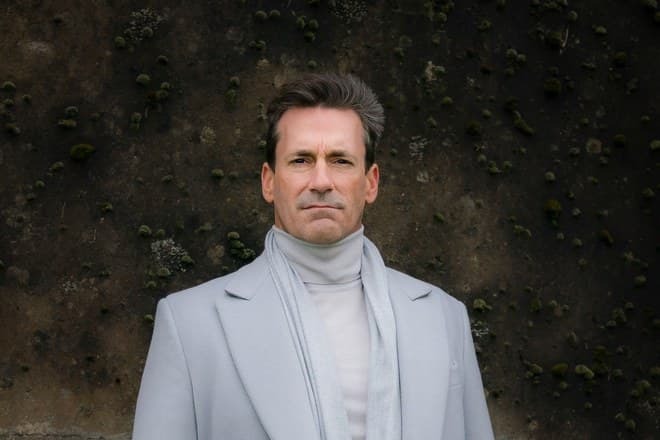 Jon Hamm appeared in the image of the Archangel Gabriel in the series Good Omens. It is not the title character in the book by Terry Pratchett and Neil Gaiman, but Gabriel holds a special place in the series. 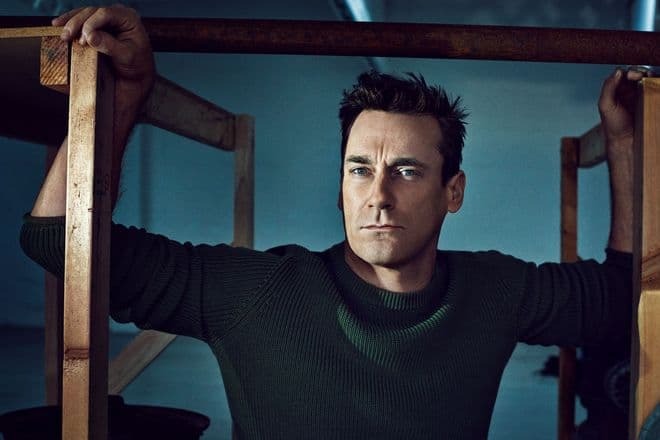 According to Neil Gaiman, the author of the novel and at the same time the producer of the series, charismatic, handsome Hamm in spick and span clothes is an ideal angel. In June 2018, the American comedy Tag was premiered. Jon Hamm and Jeremy Renner worked together once again and played friends. Their previous joint work was The Town, where Renner played a bandit, and Hamm was an FBI Special agent. In October 2018, the crime thriller Bad Times at the El Royale is scheduled to premiere. Director Drew Goddard also invited Jon Hamm to shoot in the movie. In 2019 movie fans look forward to the release of the film Pale Blue Dot, where Jon Hamm will play one of the leading roles. Director Noah Hawley tells the audience about a female astronaut (Natalie Portman), who returns home after an extended space mission. Ideal family life seems like a dream, but gradually the dream turns into a nightmare.